RADIOHEAD Hail To The Thief & Back Catalogue (Pair of 2003 French promotional-only glossy colour gatefold sales presenters. 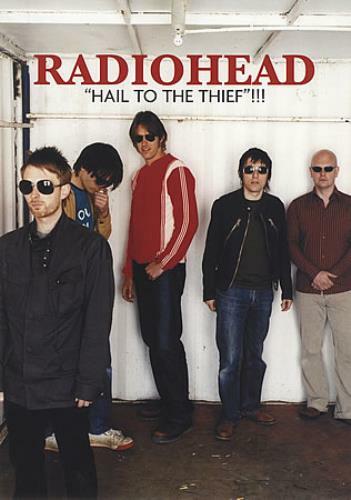 One is of the release of the 'Hail To The Thief' album and the other is for the back catalogue, both feature marketing campaign & release information with the artwork for all the albums and some great photos of the band with all text in Frenh! ).